Asco provide both qualitative and quantitative range of valves springs to our esteemed clientele, specifically designed to meet the varied needs of industries such as automotive, engineering and so on. We are recognized as India's flourishing valves springs manufacturer, exporter and supplier. Owing to our detailed manufacturing process, which delivers superior good quality products, we are now the most reckoned entity in the all industry. We employ high grade raw materials, sourced from our reliable sources, which supports the durability, temperature, pressure resistance and other important features. These are available for all kinds of valves like dowel cheak valves, single check valve, safety valve etc. AscoValve Springs manufacturer ,supplier.Exporter. Asco presenting highly durable Valve Springs in multiple dimensions. High in demand, these devices are ideal for hassle-free installation. Offered springs are sturdily constructed and specialized for their smooth compression. 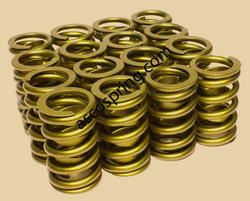 Being the leading names in the industry, Asco manufacturing an extensive range of Valve Springs. 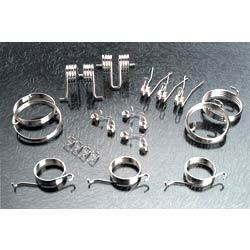 We are Manufacturer of Springs for outer Inner Valves. We also provide both qualitative and quantitative range of valves springs to our esteemed clientele, specifically designed to meet the varied needs of industries such as automotive, engineering and so on. We are recognized as India's flourishing valves springs manufacturer, valves springs exporter and supplier, based in Kolkata. Owing to our detailed manufacturing process, which delivers superior quality products, we are now the most reckoned entity in the industry. We employ high grade raw materials, sourced from our reliable sources, which supports the durability, temperature, pressure resistance and other important features. These are available for all kinds of valves like dowel cheak valves, single check valve, safety valve etc. Looking for Valves Springs ?